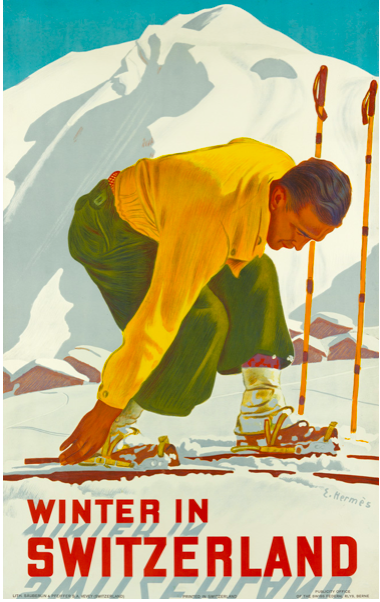 Vintage ski posters are a fixture in many ski chalets and lodges. Since the late 1990s, their values at auction have increased. 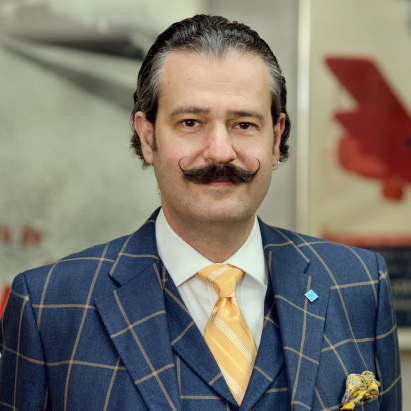 To learn more about their history and their values, we interviewed Nicholas D. Lowry, President and Principal Auctioneer of Swann Auction Galleries, and Director of its Vintage Posters Department . Swann is the world’s largest auctioneer of Works on Paper and New York’s oldest specialty auction house. JW: Please provide a short overview of the ski poster’s origins, when they were in commercial use, and in which countries. NL: By all accounts the earliest ski posters were printed in the 1890s. They were printed to drive tourism by train to the French mountains. They began to appear with some regularity in the first decade of the 20th century. Two of the most famous—and therefore most valuable— were Francisco Tamagno‘s image of a couple ski jumping, and Jules Abel Faivre‘s image of a female skier using a single pole. Posters promoting the new sport also began appearing in Switzerland. Some promoted competitions and purveyors of outdoor equipment and clothing. The first American ski poster featured an image of a female skier. It was produced in1896 to advertise the Christmas issue of Truth magazine. What is considered when determining their value? The main factors in determining ski poster value are location advertised; artist; image; date; and condition. A poster from the early days of a prominent Swiss resort such as Gstaad or St. Moritz will command more than one touting a lesser known village. The image also is important. 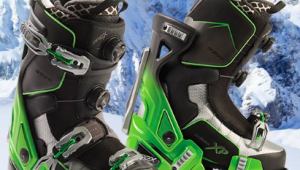 Many people are drawn to depictions of early ski equipment and ski wear. Among the most famous artist’s names that aficionados and collectors appreciate are Roger Broders, a masterful French Art Deco poster designer; Sascha Maurer, who did a lot of work for the New Haven Railway, and prominent Swiss poster designers, Emil Cardinaux and Martin Peikert. How would you characterize price trends of vintage ski posters? The market for ski posters took off in the late 1990s and early 2000s when collectors, including Mason Beekley, recognizing this undervalued segment of the poster market, began to acquire them at auction. Prices attracted attention to the genre; they haven’t subsided. 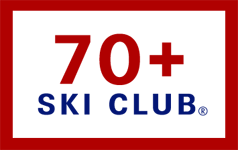 What should people look for if interested in collecting vintage ski posters? How can readers determine if they have a valuable ski poster? Our experience at Swann is that most collectors buy works to hang in their chalets or mountain homes. They focus on geographic location. For example, it’s unlikely that someone in Zermatt will be collecting posters advertising Sun Valley. I would caution potential buyers to consider their source when acquiring a vintage ski poster. Many resorts offer decorative reproductions of famous images. The best bet is to find an accredited poster dealer, so you can have confidence in the authenticity of your purchase. 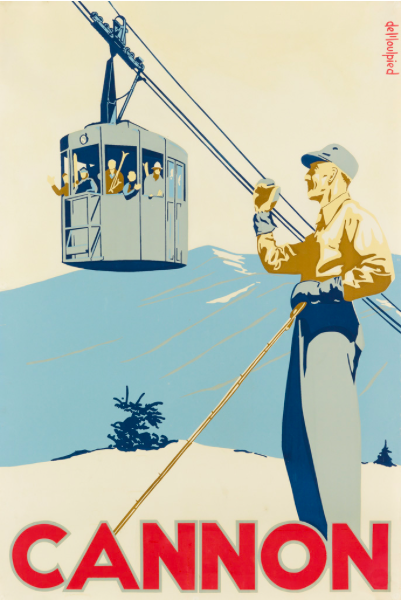 How can readers learn about upcoming Swann ski poster auctions? Swann Galleries has been offering a selection of ski posters from around the world in our annual Winter Poster Auction since 1998. We hold at least four auctions of vintage posters each year. Our catalogues are online at www.swanngalleries.com.